Started in 2001 in Pune, is one of the market leader in Indian Pickles industry. And, as it sits on profit today, the group has now decided to enter into food business services. Selling a varied product range of Pickles, Condiments, Blended Spices, Papads, Appalams, Curry Pastes, Curry Powders, Ready to Cook Spice Mixes, Ready to Eat meals, traditional Chutneys-Mango Chutneys, Ethnic Chutneys, Canned Vegetables and Mango Pulp, the brand is all set to hit the online presence. Where does the brand sits today? Sitting at an annual turnover of more than 200 crores, the brand has entered the double digit growth in only 10-12 years. They have maintain a consistency by keep on adding new products like ready to cook products, cooking paste, instant mixes, traditional chutneys in the range. In cooking paste range we have added onion paste, tomato paste to it. 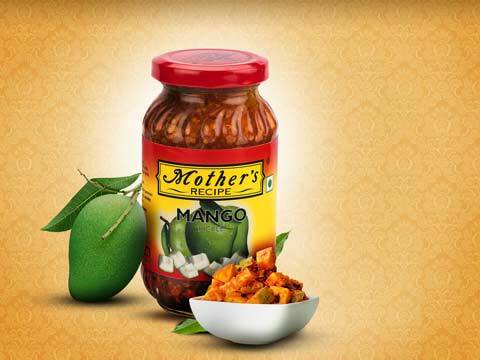 Mother’s Recipe has three verticals, in modern trade outlets- “we are the market leaders in all the categories. We are strong in modern trade business and planning to expand in west, Pune, Delhi, Bombay,” shared P. Rajan Mathews, VP, Mother’s Recipe. Sharing more on the distribution network, Matthew shares, we have 150,000 retail outlets covered by 500 distributors across the country. They cater in diverse formats ranging from Mom & Pop Stores (General Trade), Modern trade outlets, Multi-functional outlets, Cash & Carry outlets, Fruit & Vegetable stores, Defense Canteens, Police Canteens, Indian Army and to HORECA. They have 25 plus market share in all the categories. In normal retail, they have two lakh outlets, 600 distributors. This is the reach to the retail customers. The products are made from natural ingredients- fresh ingredients. While, other brands use the dehydrated products as the dry products have larger shelf life and Mother Recipe products have gravy which remains for long time. And that is the consistency in their product and they even don’t add any preservatives. As there is so much competition in the market but when the consumers buy the product they understand the difference. For instance, “in ginger garlic paste we use chopped one unlike other brands which contains water in it. Then they can understand better” said P. Rajan Mathews, Vice President at Mother’s Recipe. “Many a times it is disadvantage for us but we stick to the quality of the product. But our main aim is to provide our customers with quality products made with the best quality ingredients that meet market demands. We are committed to provide customer satisfaction and believe in continuous improvement”, he added. The main target is to reach to the correct customers on time. They also ensure the best product as the target customers are domestic households. In India the cuisine has different form according to the range and region, similarly every region has its own taste for instance north Indian people want north Indian pickle, and Maharashtra people need Maharashtra pickle. Every region has different taste. Thus, the main challenge is how to give right taste to the right customer. “If a south Indian person living in Delhi wants south Indian pickle, it is difficult for us. The challenge is to sell in different parts of the country which we are learning. We also have two months pickle festival in which we invite customers, showcase our complete range of products. Here, national brand of pickles available across the country”, shared Mathews. Today, Horeca sector wants something like readymade products as labours are at shortage, chefs are at shortage li. So products like gravy mix are coming up and this is the latest trend in the industry. Mathews says on these lines, “Now, we are supplying readymade products which do not require chefs to the restaurants. These products are present and relevant in abroad but now it is coming in India also, it has been started”. The latest acquisition of Mother Recipe with Elamc was because Elmac is very strong in the Horeca segment and it will also add strength to them also. Elmac has wide varieties like sauces, kent food, ketch ups etc. Mother recipe plan is to grow in terms of organic and inorganic products. And at the same time they are expanding in sauces, mnemonics and other products in this range. The initial investment was 25 crores in buying the brand and added five crores in upgrading the infrastructure. So, now the target is to reach 70 crores in next two years as even Elamc total turnover is 12 crore. “So, we want a growth of 25 per cent turnover”, Mathews said. Thus, the future of the food suppliers in India is going to expand only. Today, we have so many restaurants, QSR, fine dining which are growing continuously. So the demand of food supply will also grow with the same. Relive Bollywood era of 50s-90s with Mumbai Matine..